Charles Ellis Mahan, 92, of Callao, passed away Sunday, November 11, 2018. He was a Merchant Marine, and then retired as an Army Sergeant after spending 20 years as a heavy equipment operator in the Army Corps of Engineers. Charles also worked on the road crew for VDOT and then worked at UPS. He was a member of Bethany Baptist Church who loved bluegrass and country music. Charles is survived by his wife, Beulah Jones Mahan; son, Charles W. Pinkard, Jr.; sister, Dorothy Ann Bowen; grandson, Charles W. Pinkard III (Jackie); great-grandson, Charles W. Pinkard IV; niece, Susan Marshall; great-nieces, Michelle Jenkins and Stacey Marshall and great-great nephew, Andrew Jenkins. A funeral service will be held at 2 pm on Friday, November 16, 2018 at Welch Funeral Home-Marks Chapel with interment following at Bethany Baptist Church Cemetery. Family will receive friends from 1 pm to 2 pm at Welch Funeral Home-Marks Chapel prior to the funeral service. Memorial contributions may be made to the American Cancer Society at 4240 Park Place Court, Glen Allen, VA 23060. 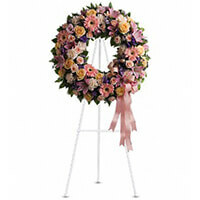 To send flowers to the family of Charles Ellis Mahan, please visit our Heartfelt Sympathies Store. My deepest sympathy to the family for your great loss. Although pain and sorrow fills your hearts at this time, may you find comfort and strength in the Almighty God words at Psalms 34:18 "Jehovah is close to the brokenhearted; He saves those who are crushed in spirit....“If a man die, shall he live again?” asked the man Job long ago. (Job 14:14,15) Perhaps you, too, have wondered about this. The reuniting with your loved ones is possible right here in a New Paradise on earth soon to come. God's words makes the promise: “Your dead ones will live. . . . They will rise up.” And the Bible also says: “The righteous themselves will possess the earth, and they will reside forever upon it.”—Isaiah 26:19; Psalm 37:29. I hope that God Words will bring you comfort and peace!